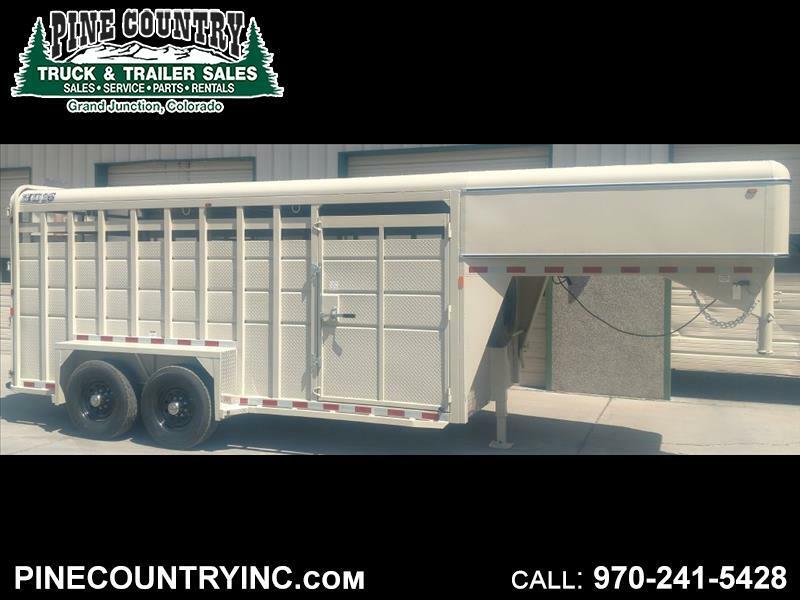 Maverick 16 Ft Gooseneck Stock Trailer, 14K Rated, Side Gate, Rear Slider/Swing Gate, Rubber Mats, Interior Lights, Spare Wheel And Tire With Mount, Gated Overhead, Heavy Duty Fenders, Adjustable Coupler, All LED Lighting, DOT Marking Tape, 16 Inch Radial Tires, Electric Brakes On All Wheels. Electric Brakes On All Wheels. Message: Thought you might be interested in this 2018 CBQT MAVGNST16-14K.